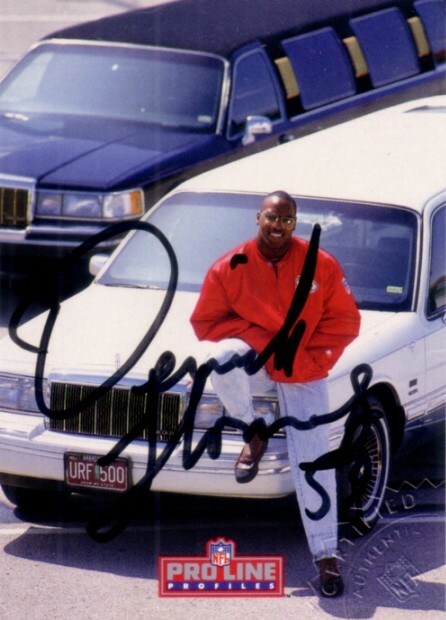 1992 Pro Line Profiles certified autograph card of the late Alabama and Kansas City Chiefs superstar linebacker Derrick Thomas, shown with his limousine. 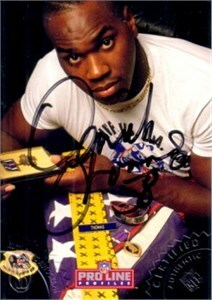 Embossed with the NFL's seal of authenticity. With certificate of authenticity from AutographsForSale.com. ONLY ONE AVAILABLE FOR SALE.